This week we talk about Spirituality's role in both creating and healing our anxieties. Even if you do not consider yourself religious or spiritual, I think this will be a talk you want to listen to. 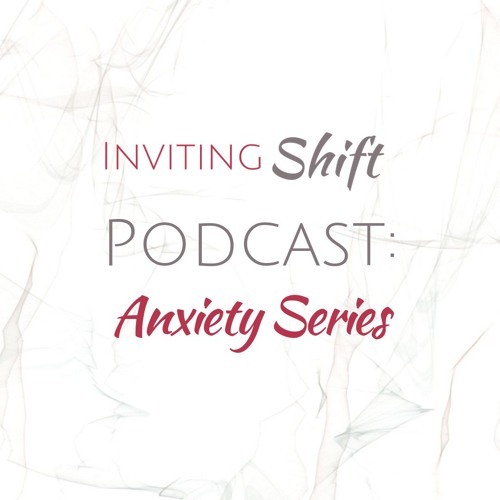 In this conversation we talk about: What spirituality is versus religion The impacts of spirituality on anxiety How being in connection can shift our anxiety How to start a spirituality practice to support your growth and trust Listen in. Learn more at InvitingShift.com About Rebecca Rockwood: Rebecca Rockwood is a spiritual counselor and teacher based in Chicago. She helps spiritual people struggling with depression, anxiety, energy overwhelm, spiritual disconnection and resonation changes in life. Her expertise lies in teaching individuals how to strengthen their connection and collaboration with Spirit to get effective results in their material-world circumstances. Rebecca provides practical, gentle guidance from a Soul level that doesn’t require rehashing things from people’s past but starts where they are now and builds from there. Her techniques can be easily applied to every day life to ease emotional turbulence and to help reconnect with Spirit. She’s also releasing her first book “If I’m So Spiritual, Why Do I Feel So Crappy? : A Short Compilation on How to Partner with the Divine to Upbuild Your Life From Nothing” which will be released on Amazon this summer – preorder on her website. Connect with Rebecca: You can reach Rebecca and learn more about her coaching on her website.